The last two weeks have been full of firsts around here. 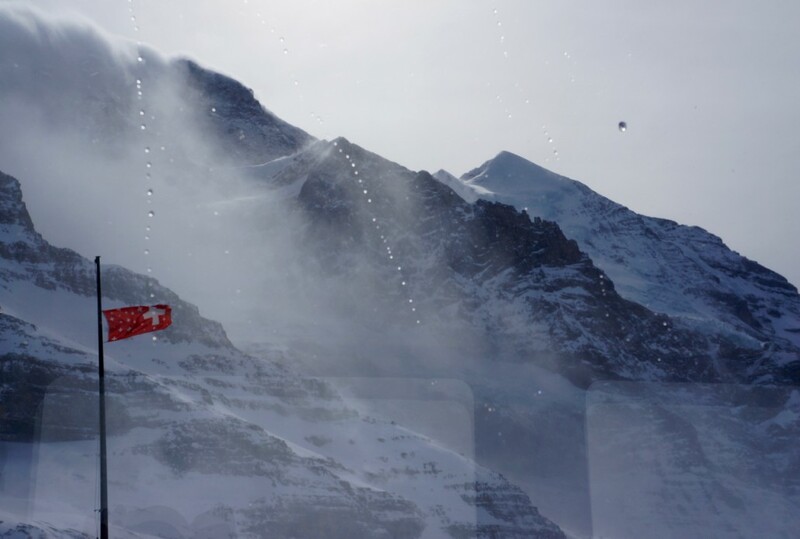 Last weekend we made our first trip up to the Jungfraujoch and I’ll share more about that next week. Reese was also introduced to her first solid food and has been keeping us on our toes as we explore the messy world of feeding a baby. And, unfortunately, I made my first (and hopefully only) visit to the Swiss ER this week after badly slicing my right index finger with a rotary cutter while finishing Reese’s Easter basket. All in all, it was a good hospital experience, if there is such a thing. Luckily, my sweet friend downstairs was home and drove us to the hospital, and Reese was a happy camper checking out all to see in the exam room even though we kept her up two hours past her normal bedtime. Now I’m all bandaged up and only slightly the worse for wear; showering on my own is a bit of a challenge, but typing I can at least manage. At least the wound should be quite a bit better by the time we leave for the US in 10 days. This afternoon we are off to Klosters for the weekend. It has been snowing up there most of the week and while I won’t be skiing, Martin may have the chance to try again. We can at least enjoy one last cozy mountain winter weekend this season. Hope you have a great weekend, and enjoy my favorites . . .
in the garden // I have never really planted any spring bulbs in our terrace containers, but if I did it would be fun to follow Terrain’s bulb layering guide. pasta night // We baked this broccoli rabe lasagna recently and it was delicious (even the leftovers, which were carefully reheated in our Beaba Babycook Solo since we don’t have a microwave and didn’t want to wait for the oven). breakfast // I enjoyed Sam Sifton’s case for breakfast in the NYT. One thing I have done well over the last few months at home is eat a better breakfast. And as I still aspire towards more warm breakfasts during the week, especially as I look forward to going back to work soon, I’m thinking seriously about putting my rice cooker to work overnight for steel cut oats. mountaineer // We loved watching Meru last month and so it was fun to read a little more about Jimmy Chin’s daily life in this week’s WSJ.